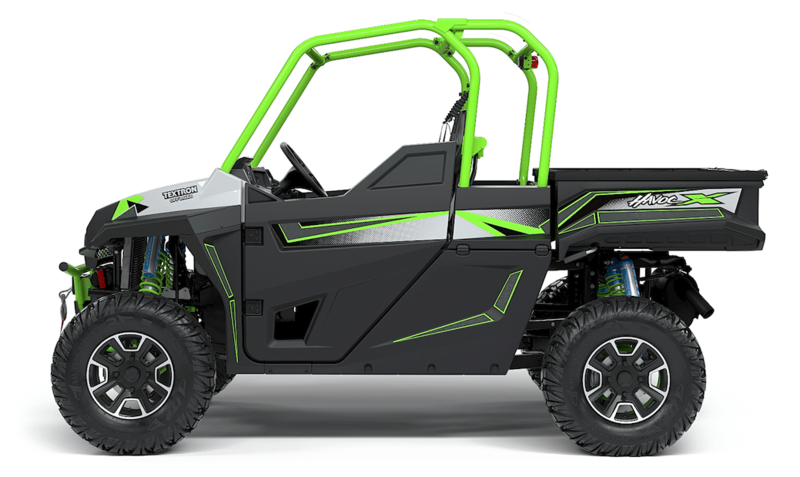 — The Textron Havoc is a new model for 2018. It has similarities to last year’s Stampede, which they still sell in 2018, but the Havoc is more performance version of the Stampede. 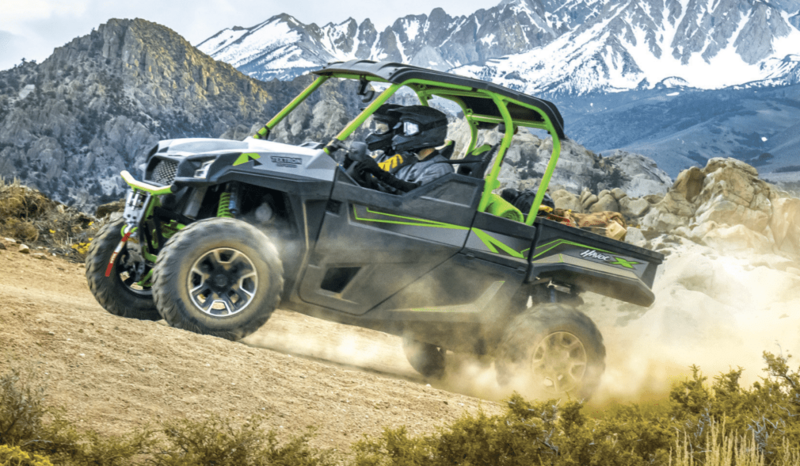 It is basically in the same category as the Polaris General, which is a step up in performance from their Ranger models. 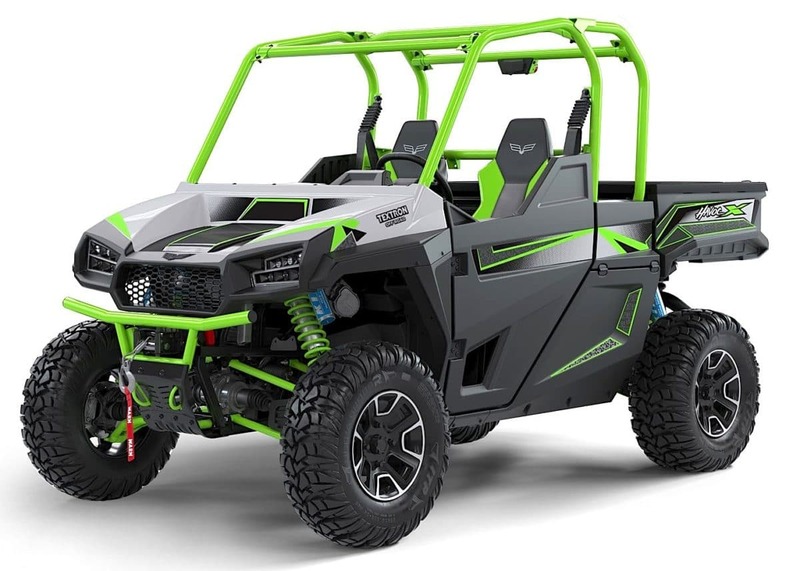 The engine is designed and built by Textron and is rated at 100 horsepower from the 957cc, twin-cylinder, SOHC, liquid-cooled unit with fuel-injection. The crankshaft, connecting rods and camshaft are forged steel for added durability. The CVT drive has high and low range with neutral, reverse and park. You can electronically select on the fly between 2 and 4 wheel drive, and also select a 4wd differential lock. When it comes to checking out a new UTV the first thing you want to know is how much it costs. The Havoc seems like a fair deal at $17,299. From there Textron offers an Expedition package and a Foreman package which bumps the price up. The base General from Polaris starts at $16,299, but the one that includes a winch sells for $17,799. That should be considered, because the base Havoc comes standard with a 4,000 pound Warn winch. 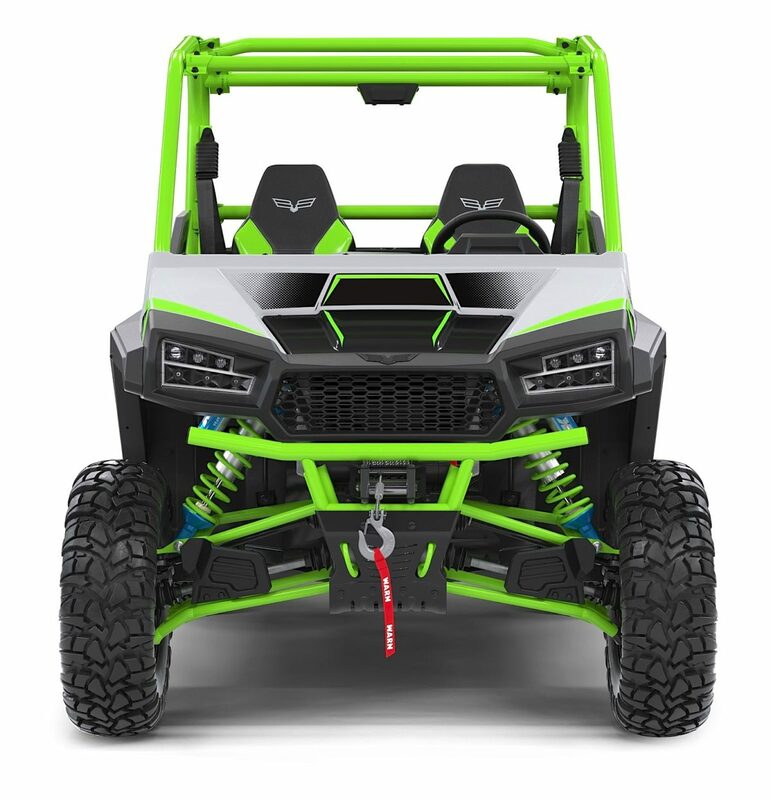 Like the General, the Havoc comes with full doors and electric power steering, along with a bed rated to haul 600 pounds. It also comes with 28 inch tires mounted on 14 inch cast aluminum wheels. Powerful LED headlights and accent lighting come standard as well. The main thing, besides power, that sets the Havoc apart from the Stampede is its suspension. 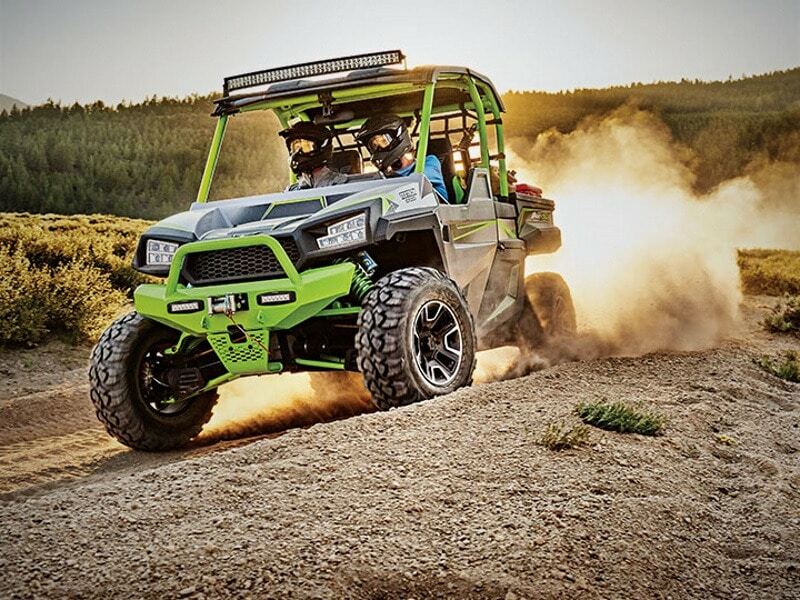 It’s more in tune with a sport UTV than a utility UTV. 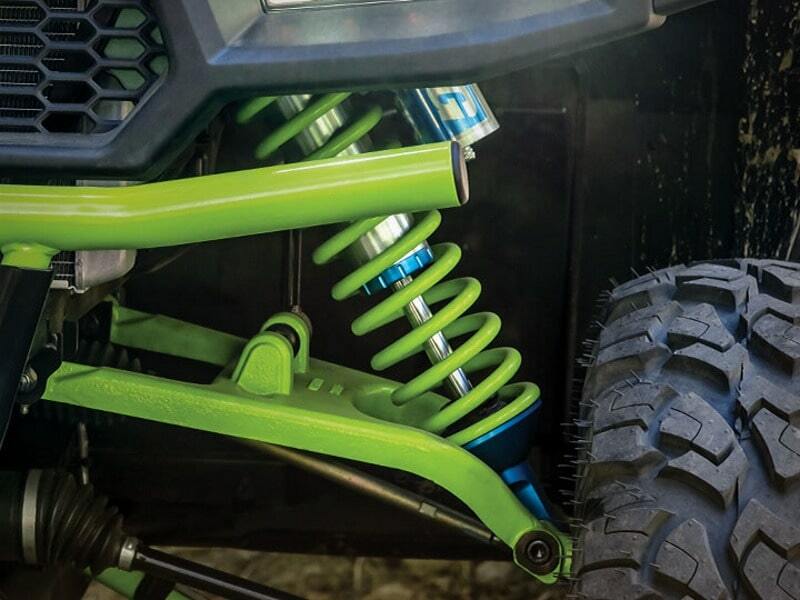 The King gas shocks have a racing pedigree with 2.5 inch hard anodized aluminum bodies and piggy-back reservoirs. They provide an impressive 12.8 inches of travel in the front and 12.9 inches in the rear. There are 30 positions to adjust compression damping and spring preload is adjustable too. What this means is the Havoc should be able to haul across sections of rough bumps at a good clip of speed. As is normal, the Havoc has full independent suspension with double A-arms front and rear. However, it also has sway bars front and rear to control lean and help it to remain level during fast cornering. To bring down this machine from speed it comes with twin-piston brake calibers squeezing on 9.5 inch brake rotors. In the dash you have a LCD screen along with 12V DC outlet and USB port. There is also a customizable speed controller. This is probably like the Corvette where daddy reprograms the controller when junior is driving his car. 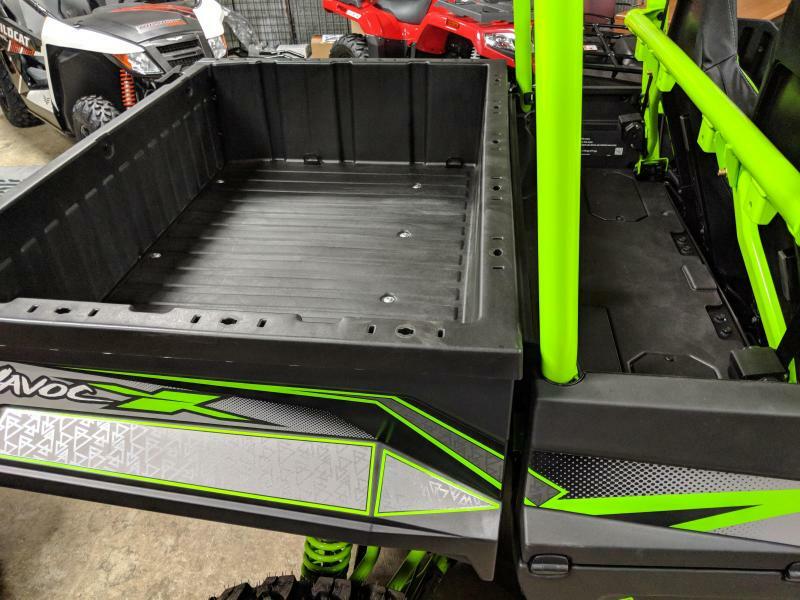 One handy feature you’ll notice about the Havoc’s design is the extra space behind the seats to haul items more securely. There’s also a good size glove box and the rear bed can tilt to dump the cargo if needed. When checking out the dimensions you’ll note that the Havoc weighs 1,755 pounds. It has a wheelbase of 85.2 inches and the width is 64 inches, which is just a tad wider than the General. 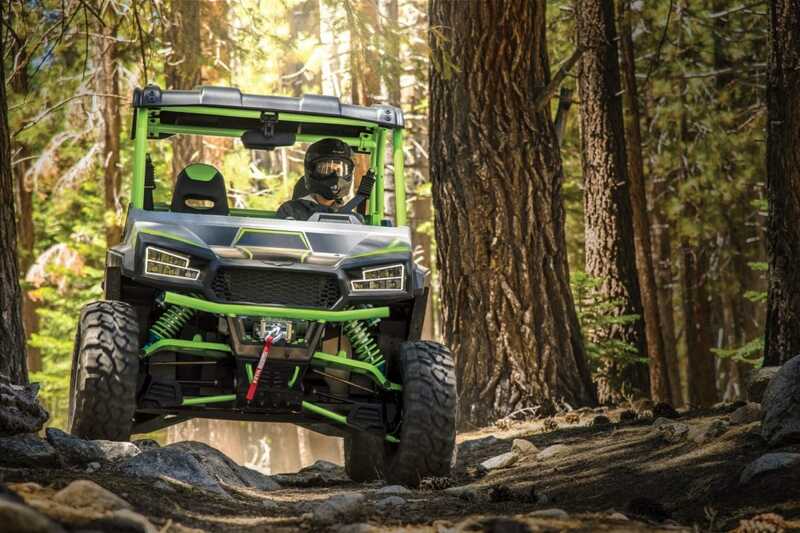 Obviously, you won’t be able to go down the narrow trails that a 50 inch wide UTV can, but the Havoc’s width will help keep all four tires on the ground during aggressive cornering. 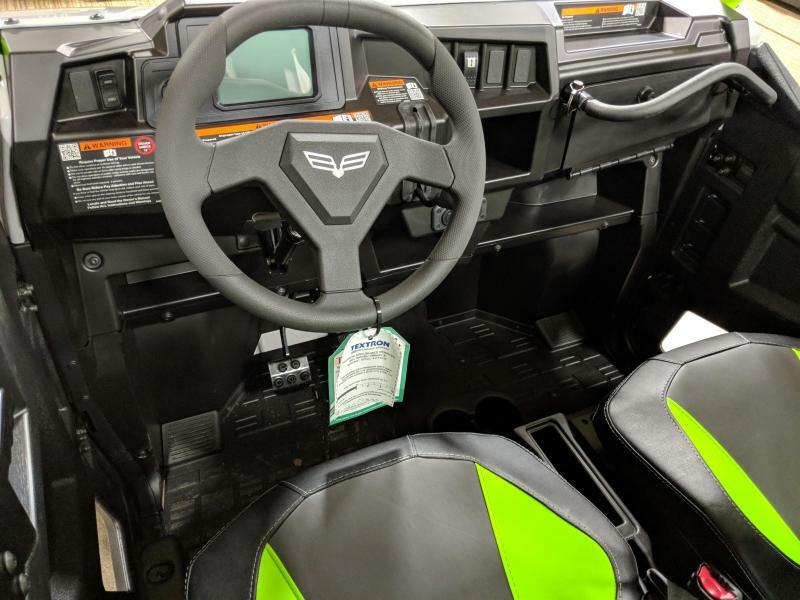 It looks like Textron did a good job of designing the Havoc to be the right machine for many of the typical UTV buyers. They seemed to focus on important details as well as the right compromises between utility and sport. In other words, if you were considering a Polaris General, you should also take a look at the Textron Havoc. We’ll let you know how the machine really rates in overall performance when we get our Havoc to test. That could happen pretty soon, so stay tuned.